How can you refuse when they say you're the only blogger they invited out of the many bloggers they know and previously invited? Finding myself among VIPs in a newly established restaurant gives an added appeal and confirmation that I'm doing something right with my blogging. 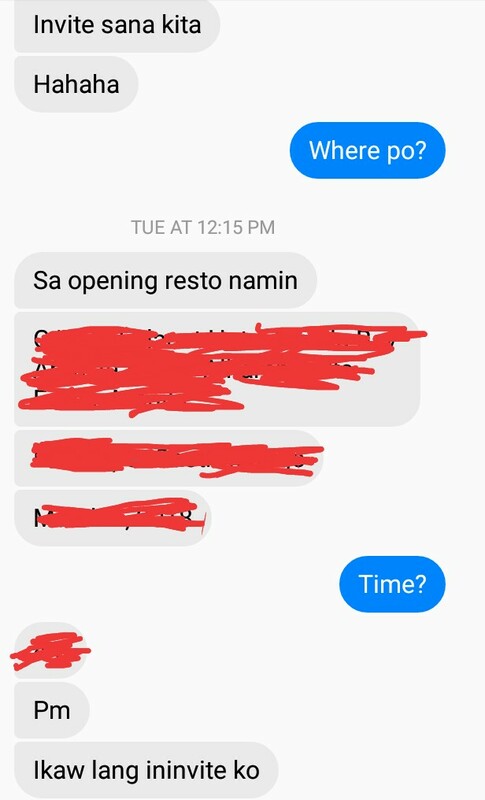 It is messages like these that inspires me to excel even further....especially when the restaurant owner says he knows me and has a good impression of me .... hahaha ... sikat daw ako! Oh yes, I've seen him before managing a smaller food business venture, and I'm proud that we now meet again with him having an additional and bigger restaurant to run. Of course, I am also proud that he remembers me well. 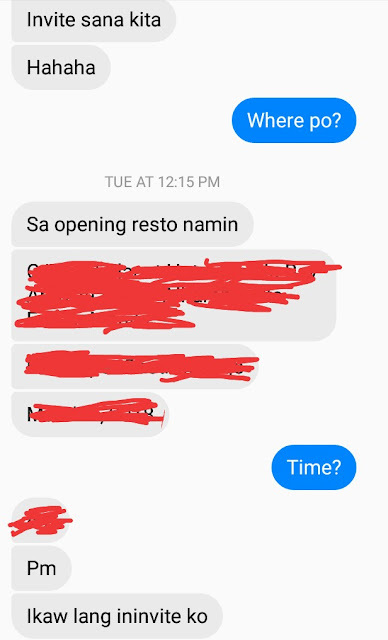 I meet a lot of people but is never good at remembering names. However, I remember faces, more specifically their smiles and appreciation towards our work. I always do try my best to enhance or make our image stand out among the rest. From the logo, the jingle, the iconic shout-out, the video coverage even with just a smartphone, to the self-proclaimed "Pambansang Blogger" title, it is our work and branding that we are proud to boast. Of course we try our best to live up to such a title so we could carry it with dignity. We do have our own meaning or interpretation, and eventhough there are eyebrows raised everytime we announce ourselves as the Pambansang Blog ng Pilipinas, we will never give it up because we believe it constantly reminds us of our ulrimate goal - to come out with more significant stories to educate and inform the people to become more involved and aware. Eventhough, I am missing a lot of events now due to my new work, I am still able to attend events every now and then. I once told myself I would still attend the events scheduled after office hours or weekends, but found myself unable to do so coz now I just want to rest after 5pm. An entire day at the office, though not hectic and very light work, is still draining for me because I'm used to actively running around from one event to another. Just mostly sitting infront of a computer and doing paper work all day is tiring. The only time I get to exercise is when I go to my boss to have some papers signed. But now I was given authorization to sign the papers myself. My fault because I suggested it. Not that I'm complaining but because it was the right thing to do. I even volunteered to pay in advance for my own trodat stamp so I could officialy put my authorized signature on those certifications. My challenge at work is to automate and speed up a work process that is still dependent on the physical paper. There are just some who still just follow the old process what they have grown accustomed to. Why fix something when it's working? Well, innovation helps to speed up the process, consume less or no paper, and makes our stakeholders happier for the faster, convenient and thus better service. Why wait for a paper for three days when it can be processed within the day? Though it's a bit more exerting extra effort, it gives our customers a better impression of us. Now, I'm being selective with the events I am attending but happy that I am still able to send over correspondents to represent Wazzup Pilipinas. I admit missing personally attending but there's just some sacrifices you need to make for the greater good. 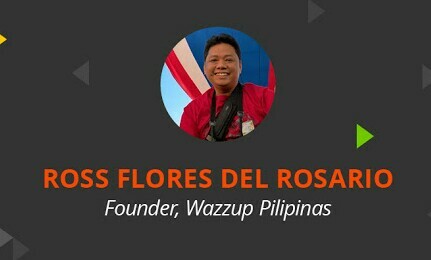 Thanks to people like Jayson R. Biadog, Collin Sarthou Yap, Edmund Ong Chua II Ferrari Lacson, David D'Angelo, Manuel Flores, Mars Callo, and a lot more who continues to attend events for Wazzup Pilipinas. Though the site is already self-supporting or sustainable due to its many local and foreign collaborators, event attendance is still a worthy task where you find more opportunities through new contacts or relationships. I could hardly count the many recommendations or referrals we got from the people we meet at events. And though there are still many detractors out there who continue to spread "fake news" about us, our commitment towards publishing only significant stories still emerges as our top priority. No to sugar-coated stories. No to connivance with faulty or inferior brands. No to abusive PRs and event organizers. We know we will not be able to share everything that's happening around us, but we are proud we are doing our very best. That is all that is important. Thank you to all who support us in our noble endeavor as our site is more of an advocacy towards a better Philippines, for better Filipinos. We will continue to give our best "even when noone is looking." Lol!